Reindex is a great service for quickly prototyping and building a GraphQL API for your app. But it also simplifies moving from a prototype to a production system and scaling your app. Authorization, an essential feature for secure production apps, determines which resources each user can access and perform operations on. We’ve built a flexible permission system into Reindex for implementing authorization. In this tutorial, we’ll explore the Reindex permissions by building a shopping cart API with sophisticated access controls. 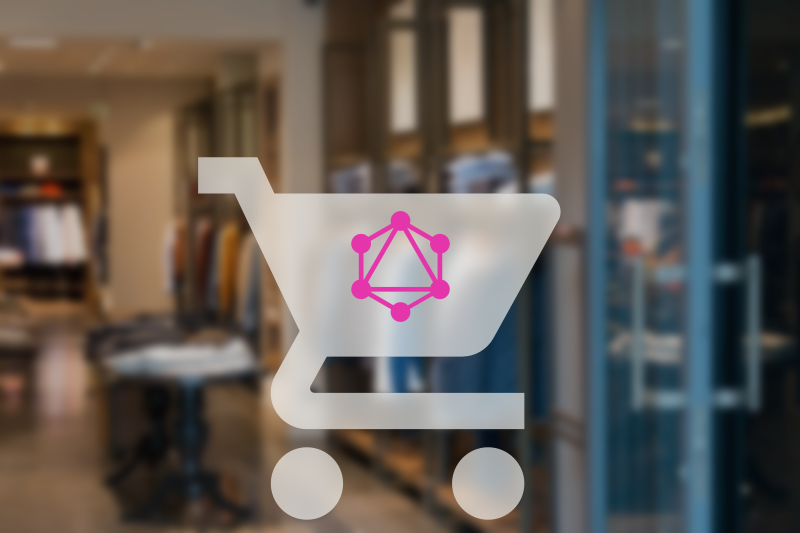 We’ll then have a GraphQL API with data storage and authentication on which we can build a client-side shopping app (with React Native and Relay, for example). We’ll start by sketching the data model. It comprises all the data types used to create the app and will be the basis of the app’s schema. Shop: Represents a shop, which has an owner, staff, and lists of products and orders. User: Represents any person using the app, including customers, shop owners and staff. Order: Belongs to a user and a shop, and has a bunch of line items. Line Item: Has a quantity of some product in the order. Product: Belongs to a shop and can be included in line items. Below is a chart of this data model. Now we can express the data model as a Reindex schema. The schema is simply a machine readable representation of the data model, which Reindex uses to create a GraphQL API for your app. Let’s begin with the Shop and User types. Both types implement the Node interface, so they must have an id field. owner and ownShops form a one-to-many relationship between a User and several Shops, and staff and staffShops form a many-to-many relationship. When you run the schema-push command, the Reindex service reads the data model you’ve defined in the schema file and creates a GraphQL API for it, including paginated lists and mutations for updating the data. You get a fully functional Relay-compatible GraphQL API that stores data in a hosted MongoDB database. We can now open the app in GraphiQL (an in-browser GraphQL IDE) with the reindex graphiql command, play with the API, and make some queries. We haven’t yet defined any of the permissions that will allow all users to access the data. Let’s add those permissions next. The permissions of Reindex correspond to the graph-like structure of the data stored in Reindex: if a type has a field that contains a User type or is otherwise related to a user (even if through a long chain of relationships), you can grant permissions to the related user. The chain of field names, or userPath, can be as long as necessary, as long as it begins with a field of the type we’re defining a permission for and ends with a User or UserConnection field. This is quite a powerful feature. Specifying permissions through chains of fields allows us to model fairly complex permissions without writing complex code or maintaining separate access control lists or roles—it’s all declarative and all defined in terms of the data. Now, when a user wants to add or remove an employee, Reindex verifies that the user has a permission to update the staff field of Shop and staffShops field of User. This ensures that users can only add staff to their own shop. The permission we added above will make the staff field available to users who are adding themselves as owners and not attempting to create a shop on someone else’s account. staffShops permission is granted to authenticated users. Finally, let’s define the permissions for Order and LineItem. We want the shop owner to be able to change the orders and line items. Customers should be able to create orders and see their own orders. In addition, the staff should be able to see the orders and update order status. // The shop owner can read, create and update orders. // The shop staff can read the orders of the shop. // The shop staff can update the status of an order. // The customer can create orders and read their own orders. // The shop owner can create, read and update line items. // The shop staff can read the line items of the orders of the shop. // The customer can create and read line items in their own orders. That’s all. We can now add all the permissions to the schema and push the schema to Reindex again to make our API secure. You can find the final schema here: shopping cart schema with permissions . Hopefully, I’ve given you a taste of what Reindex permissions are capable of. In this tutorial, we used the shopping cart as an example, but these simple permissions allow you to create sophisticated access control rules for any data model. Automatic permission checks occur when you read or update the data using the GraphQL API of Reindex; you don’t have to write any complicated code to perform them. We would love to hear what you’re building and whether you found this tutorial useful! Say hello: hello@reindex.io.